Giveaway: Scottish Fish Delivery Worth £67 – Straight to your door from Delish Fish. The lovely people at Delish Fish have offered a lovely giveaway for my readers. I’ve had the pleasure of using Delish Fish produce in the past and their Wild Haddock made for very happy kids with their breaded fish. To enter, simply work through the Rafflecopter widget with the entries you’d like to make and you are entered for the randomly generated giveaway. 1. Open to UK Mainland Entrants only. 2. The prize will be delivered and you must give us your address to send it to you. 3. Winners will be notified within 3 days of giveaway end. If the winner does not respond within 7 days, a new winner will be drawn. The draw closes on 30th September at midnight. 4. The winner will be chosen by Rafflecopter random generator. 5. Delish Fish reserves the right to amend, add or withdraw this giveaway at any time. 6. Each entry method entitles you to the corresponding amount of entries stated. If you’d like to order a pack yourself in the meantime, simply contact them online or by phone during the giveaway promotion time on 01779 477930, and mention Scottish Mum to have this £67 box of fish delivered for £56 anywhere on the UK mainland. Beginning in Peterhead, the fish they bring to customers is brought directly by the Milne family at auction and hand filleted to be as skinless and boneless as possible. The fish is caught, landed, prepared and frozen within 8 hours in Peterhead. They’ve opened a new shop in Rose Street, Aberdeen and also take online orders. « Sophisticated Suppers: Persuading your kids to eat unusual foods. I have entered. Salmon is my fav fish. I’ve entered the competition and have to say that my favourite fish is smoked haddock, love the stuff! Sebass is my fav, but really like monkfish too. I love a nice Haddock, and living by the sea means we can get it fresh. I have entered & my fav fish is Tuna Steak! Salmon is always a favourite in our house. I love salmon dishes but always think I should try a few different types of fish. Lovely competition. I love fish. Thanks. I entered! Salmon is definitely my favourite- yum! All fish but Salmon especially. I have entered! Salmon has to be one of my favourites as it is so versatile and delicious, and healthy to boot! I have entered the competition, and my favourite fish is seabass. My son’s favourite is salmon. He could eat it every day! I’ve entered, and the sole is my favourite. Entered. The salmon would be great. I have entered this amazing competition and my fav fish has got to be pink salmon! Hi! I’ve entered … and my favourite fish is mackerel. I like cod and haddock equally. My favourite fish is Trout. I love monkfish when I can get it. Love all fish but my favourite is salmon. I’ve entered 🙂 Don’t have a fave fish for eating though! I’ve entered. I love Lemon Sole! I love lemon sole – its delicate taste is my al time favourite fish. The delicate taste of lemon sole is my all time favourite. Just the thing to give my diet, a nudge in the right direction. entering! and cod i think- the classic. I’ve entered! My favourite is definitely lemon sole. Ah this is the plaice to put my comment. I didn’t want to pull a muscle, so I would haddock a guess my favorite fish is Sea Trout. I have entered. I love salmon and prawns but when I was on holiday I tried a few fish that I had never tried before and one was Orange Roughy which was delicious. I entered! The mussels are my fave, mmm! Of the three I love monkfish, but I can’t resist a sticky chilli salmon either! Entered! My favourite is salmon, I could eat it all day! LOVE Lemon Sole. I have entered. Salmon is definitely the favourite in our house i think my eldest little girl likes it mainly because of the colour lol 🙂 but it tastes delicious and is so versatile! Great giveaway, I don’t eat fish myself but my hubby and kids love it. My hubby is a big fan of Salmon. I’ve entered. My favourite is fresh tuna. Hi, I have entered. My favourite fish is lemon sole and salmon. My fave fish is cod. Boring I know but has to be Haddock! But tuna is just as nice! I love fish, plain old cod is my fave! I have entered. Lemon sole is my favourite. I have entered, and Salmon is my favourite. Cod is my favourite fish . Trout, probably, although any meaty fish covered in coconut with a pineapple and chili salsa works well. I’ve only ever really tried Cod and Haddock and other similar white fish, but I’d love to try different ones! Salmon is my fave, thanks for the comp. 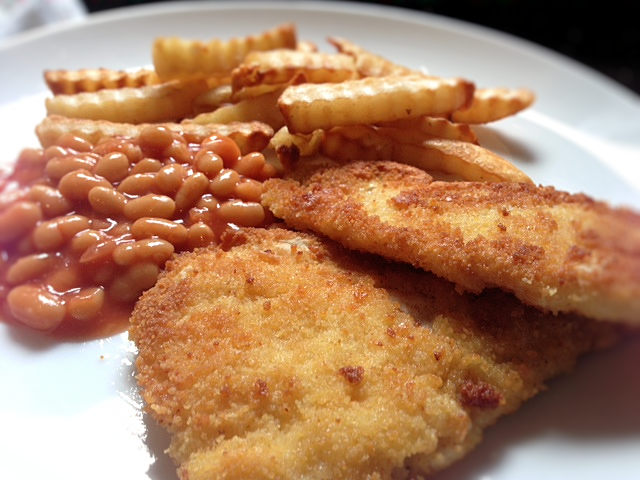 lemon sole is a favourite in our house – many thanks for the competition – would love to win! I’ve entered! And salmon for me. If it is smoked – all the better! I have entered – I love lemon sole! I love haddock and lemon sole. The smell of Aberdeen harbour reminds me of going home. I grew up on an Aberdeenshire croft. When I went away to uni in Stirling and then work, I used to drive past the harbour on the way home. The smell of the fish meant I would be home soon! King clip is my favourite, closely followed by seabass and monkfish! I like most fish – haven’t found one I don’t like but there may be one eventually. We eat lots of salmon but I’d love to splash out on halibut. Wow! Love fish and trying to get my son to try more different kinds. I’ve entered. I do especially like salmon, but I’m keen to try more fish. I’m a fish lover myself as is my mini me, but alas he is of the “must be breadcrumbed or battered” when it comes to most fish. I love it non battered baked in tin foil in lemon juice with some paprika etc… Ooh now I’m Hungry!